What Should You Ask Yourself Before You Take on the Task of Being a Caregiver? Caregiver Germantown TN – What Should You Ask Yourself Before You Take on the Task of Being a Caregiver? Taking on the responsibility of being your senior’s primary caregiver is not one that you should be taking lightly. There are some serious questions you need to ask yourself. What about Your Mental and Physical Health? Just because you’re a caregiver, that doesn’t mean that your needs suddenly stop. If you’ve got your own health issues, then you can’t ignore those in favor of only caring for your aging adult. You seriously need to consider how you can take care of your own mental and physical health while still being a caregiver. Can Anyone Else Pitch in Too? If other family members can pitch in, then it may be a great idea to ensure that that they are able to do so as well. This helps to take all the pressure off of you. For smaller families or families in which many of the extended family members live far away, this isn’t possible. You may want to consider alternatives, such as hiring home care providers to help you out. You need to have your own support system as well. Caregiving is incredibly stressful and you’ll need to be able to vent when necessary and share how you’re feeling with someone you trust. This might be a support group, a friend, or even a therapist. You may want to have a network of all of these different types of support available. You may not realize that there are some ways that your life is going to change quite a bit. You may need to move in with your aging adult or have her move in with you. You may need to start working from home or even change something about your career in order to be more available for your aging adult. All of these changes are potentially massive for you and need to be addressed. Can You Make the Tough Decisions? Depending on your elderly family member’s situation, you may be called upon to make some really difficult decisions. Your senior may share what she wants, but there may be times that you need to make decisions for her on your own, based on what you know of her desires. If that’s going to be too difficult for you, then someone else might need to be the primary caregiver. When you know that you’ve addressed as many of the possible scenarios as you possibly can, it’s so much easier to be able to devote yourself to caregiving the way that you want to. Remember that there aren’t any right or wrong answers. What you’re trying to do is to make sure you can be the best caregiver possible. 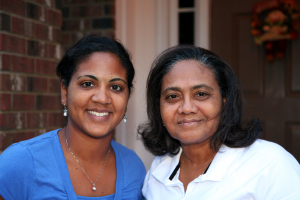 For Caregiver Services in Germantown TN, please contact the caring staff at Personal Care Services MidSouth today! This entry was posted in Caregiver Germantown TN, Personal Care Tips and tagged Caregiver Germantown TN. Bookmark the permalink.